Arizona State trailed 44-31 at halftime and pulled within nine early in the second half before Buffalo’s 7-0 run pushed its lead to 16 with 16:13 remaining. The Bulls‘ advantage never fell below 14 the rest of the way. 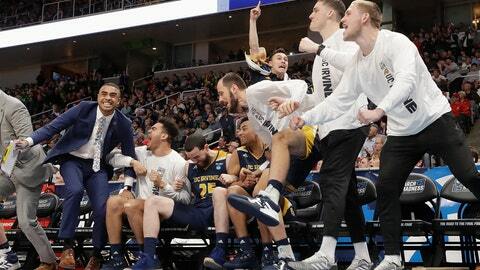 SAN JOSE, Calif. (AP) — UC Irvine got back-to-back 3-pointers from Evan Leonard to spark the deciding run in an upset over Kansas State, the Anteaters‘ first NCAA Tournament victory in school history.